Our WordPress optimised web hosting is the perfect choice for WordPress powered websites of all sizes. Our easy one click install technology means your WordPress website can be up and running in minutes. We also offer a full WordPress design service accompanied by training videos to guide you through the process of changing your content once we’ve built and designed your website. 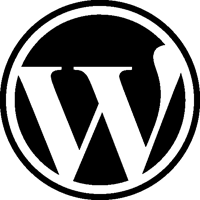 WordPress is the award winning Content Management System (CMS) powering millions of websites around the world. Thanks to its intuitive interface, extensive customisation possibilities and huge library of themes, plug-ins and widgets, WordPress is powerful, flexible and easy to use. WordPress has evolved in to much more than just blogging software and is now a fully-fledged CMS, supported by a huge network of designers and developers creating new functionality for websites of all types. Whether you are looking to create a personal portfolio, business website, ecommerce website, affiliate review website or even a forum, WordPress makes website management quick and easy. One click install: Set up your WordPress website in minutes. Affordable: Great WordPress hosting at a great low price. Flexible: Our WordPress hosting gives your WordPress website room to grow. Purpose built UK Data Centre: Your WordPress website is secure in our state of the art UK data centre. Our WordPress hosting comes with Jetpack automatically installed. Jetpack is a collection of WordPress plug-ins bundled together so you don’t have install each one individually. After the Deadline: Spelling, grammar and style checking based on artificial intelligence. Gravatar Hovercards – Show your user’s Gravatar profile son your blog. Latex – Mark-up language support. Shortcodes – Add different types of media (including images and video) to your blog using short codes. Sharedaddy – Make it easy for your readers to share your content. Shortlinks – Automatic URL shortening. Twitter Widget – syncs your tweets to your website. WordPress.com Stats– In-depth visitor and readership stats. Give your WordPress website a home it deserves with our WordPress optimised platform. If you already have a WordPress website and you are looking to join us, transferring your website is easy and only takes a few minutes to upload your files. Web hosting starts at £40 per annum.